This is very good news for DD Free Dish (DD Direct Plus) users that Star Bharat (Life OK) channel added on Doordarshan Free Dish DTH Platform. You can watch Star Bharat (Life OK) channel on DD Free Dish DTH channel no 048. Star Bharat (Life OK) channel added at place of TEST 316 channel slot on Frequency – 11470/V/29500 in MPEG-2 format. Star Bharat is Star India’s free-to-air (FTA) Hindi General Entertainment channel. The channel is officially launched today on 28th August, 2017 at 6PM onwards. The technical detail of Star Bharat channel is as below. 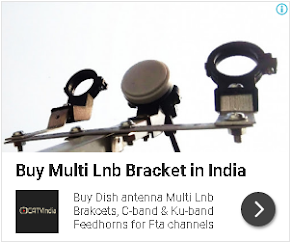 If you are using LNB Frequency 9750, than tune your DD Free dish set-top box at given below frequency. Free dish aur ABS me kya antar hai . Kya kare ki mere free dish me remove sabhi chale. Plz star Bharat aur jitne bhi channel dd free dish se remove kar diya gaya hai Usko fir se start kiya jaye. Plz add star Bharat channel in DD free dish. I unable to watch star bharat. Plz valid information hi dale. And i love sony pal. Please add it. I will very happy when it available on dd free dish.